Beta-glucan is a substance found naturally in several foods, including oats, barley, and certain mushrooms. Also found in yeasts, beta-glucan is classified as a polysaccharide (a large molecule made up of multiple sugar molecules). There's some evidence that beta-glucan may offer a number of health benefits, such as stimulation of the immune system. Beta-glucan is also purported to strengthen the immune system and, in turn, fend off colds, flu, and even cancer. Additionally, beta-glucan is said to increase the body's defense against the harmful effects of stress. The beta-glucan found in oats may help keep cholesterol in check, according to a 2011 report from Nutrition Reviews. Looking at studies conducted over the previous 13 years, the report's authors determined that oat-derived beta-glucan may significantly reduce levels of total and LDL ("bad") cholesterol. On average, the authors note, daily oat consumption is associated with 5 percent and 7 percent reductions in total and LDL cholesterol levels, respectively. Beta-glucan may help manage diabetes, a 2008 research review from Vascular Health and Risk Management suggests. Analyzing previous research on beta-glucan and diabetes, the review's authors found that dietary intake of beta-glucan may help protect against diabetes-related complications by controlling blood sugar levels, lowering cholesterol, and keeping blood pressure in check. Preliminary research indicates that beta-glucan may activate a number of cells and proteins that fight cancer (such as T-cells and natural killer cells). What's more, tests on animals have shown that beta-glucan may inhibit the spread of cancer cells. However, a 2009 report in the Journal of Hematology and Oncology cautions that there are "no good quality clinical trial data" for the effectiveness of beta-glucan in treating cancer. Currently, there is a lack of clinical trials supporting the claim that beta-glucan can rev up the immune system and stave off colds, flu, and other types of infection. However, some preliminary research suggests that beta-glucan may strengthen the immune system and knock out viruses. In a 2004 study from Medicine and Science in Sports and Exercise, for instance, tests on mice revealed that beta-glucan may offset the negative effects of exercise-induced stress and increase the immune system's defense against upper respiratory tract infections. Beta-glucan supplements are widely available for purchase online and are also sold in many natural-food stores and in stores specializing in dietary supplements. Many beta-glucan supplements source their beta-glucan from substances like baker's yeast. Others contain medicinal mushrooms like shiitake and maitake (both found to be rich in beta-glucan). 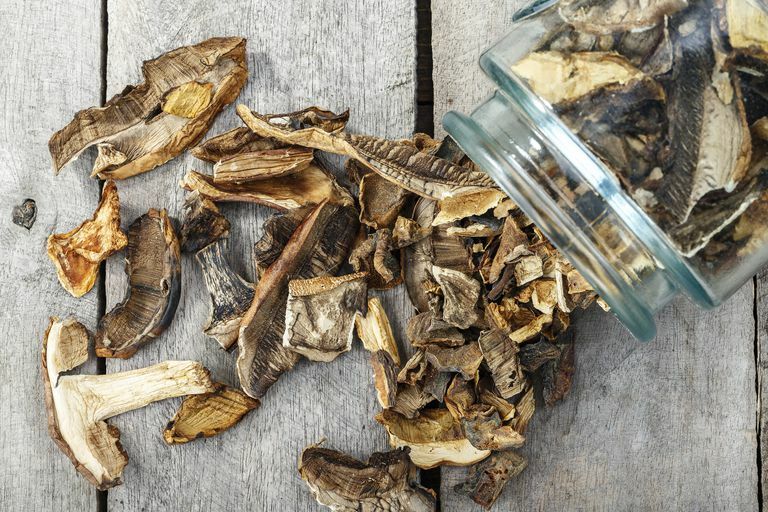 While research on the health effects of medicinal mushroom supplements is somewhat limited, a number of studies suggest that they can help boost immunity. Although beta-glucan is generally considered safe, there's some concern that it may lower blood sugar. Therefore, people with hypoglycemia (or anyone taking medications to reduce blood sugar) should consult a physician before using beta-glucan. Supplements haven't been tested for safety and due to the fact that dietary supplements are largely unregulated, the content of some products may differ from what is specified on the product label. Also keep in mind that the safety of supplements in pregnant women, nursing mothers, children, and those with medical conditions or who are taking medications has not been established. Get additional tips on using supplements. Although it's too soon to recommend beta-glucan supplements for health purposes, increasing your beta-glucan intake (by including oats, barley, and medicinal mushrooms in your diet) may help enhance your overall health. If you're considering using beta-glucan supplements, talk to your doctor to weigh the potential risks and benefits. Keep in mind that alternative medicine should not be used as a substitute for standard care. Self-treating a condition and avoiding or delaying standard care may have serious consequences. American Cancer Society. "Maitake Mushrooms." November 2008. Chan GC, Chan WK, Sze DM. "The Effects of Beta-Glucan on Human Immune and Cancer Cells ." J Hematol Oncol. 2009 Jun 10;2:25. Davis JM, Murphy EA, Brown AS, Carmichael MD, Ghaffar A, Mayer EP. "Effects of Oat Beta-Glucan on Innate Immunity and Infection After Exercise Stress ." Med Sci Sports Exerc. 2004 Aug;36(8):1321-7. Othman RA, Moghadasian MH, Jones PJ. "Cholesterol-Lowering Effects of Oat β-Glucan." Nutr Rev. 2011 Jun;69(6):299-309. doi: 10.1111/j.1753-4887.2011.00401.x.